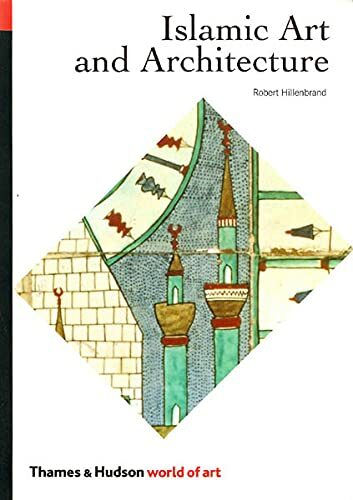 Covering one thousand years of history and an area stretching from the Atlantic to the borders of India and China, Robert Hillenbrand incorporates all the latest discoveries and interpretations in this authoritative guide to the arts of Islam. From the supreme confidence of the Dome of the Rock in Jerusalem to the scores of exquisite buildings of Ottoman Istanbul; from the extraordinary virtuosity of Persian painting in the fifteenth century to the vivid ceramic tradition of Ottoman Iznik―Hillenbrand does justice to both the highlights and the ongoing evolution of the full range of Islamic arts. Supported by a glossary of Islamic terms, a time line, and maps, this book traces the architecture, calligraphy, book illumination, painting, ceramics, textiles, and metalwork of a vastly accomplished and influential civilization. Robert Hillenbrand, Professor of Islamic Art at Edinburgh University, is an acknowledged world expert on Islamic art and architecture.